Here is a quick update on Mrs. Gohela. She is doing good now and is on the road to recovery. She visits the hospital once a month for follow-ups. The doctors have suggested that she will be having the plastic surgery on her limb but the date has not yet been decided. She is on medication and physiotherapy. She needs to regain her strength before they can go ahead and operate on her. Thank you for all the support you have shown her. It means a lot to see the overwhelming support that she has received so far. Would request you all to share this campaign further with your friends and family and please do pray for her health and speedy recovery. Gohela is recovering under specified medications and a diet with proper nutrients. Slowly but confidently she is gaining her strength back and now she can walk by herself. She went for a check up on 15th June and again the next check up is scheduled on 15th July. She is strong mentally but physically not strong enough yet. She has to go to a nearby hospital in every week for various medical test. 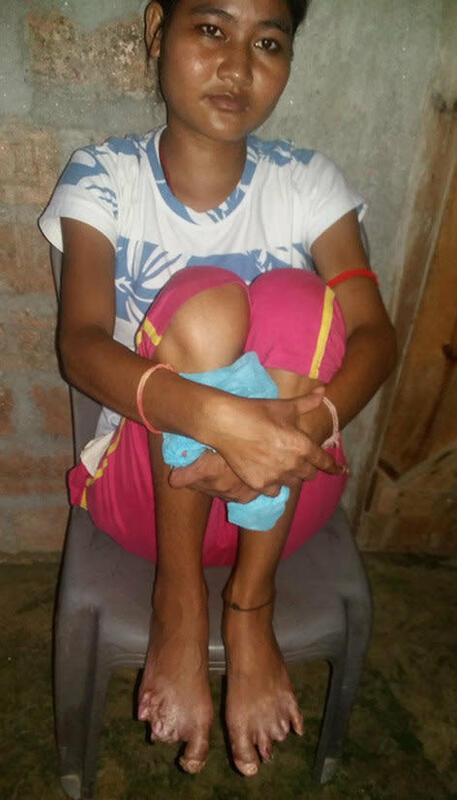 Plastic surgery of her limb will be decided only after her next check up in AIIMS on 15th July. Thanking you all for coming forward to help her. 15 May 2017: Today Gahela is discharged from AIIMS, New Delhi after a month long treatment from 8 April to 15 May 2017. Now she is on the way back to her home by train. Gangrene is almost cured, she can walk, but there are chances of infection if she skips any medical course. Medicines are also given to get rid of iron stored in the liver. The doctor has prescribed a lifelong medicine to keep her haemoglobin rate constant. Doctors said lupus is not a Curable Diseases but treatable one. She needs to take medicines for life long and have to do regular check-ups. Gohela has to take 28 medicine tablets a day few are cheap but few are expensive costing INR 800-900 per tablet. Doctors said that slowly they will decrease consumption of medicines. As her Medicines are expensive, the Discovery Club consulted with Injeti Srinivas, Director General, SAI at Shastriya Bhawan thereby Sports Ministry has agreed to provide Advance medicine worth INR 1lakh for Gahela and plastic surgery of her limb will also be done after 2 months which will be bored by Ministry itself. The regular check-up will also be done and in case of emergency she will be directly shifted to AIIMS, New Delhi affirms d Dr Uma Kumar, head of the department of Rheumatology. I on behalf of Gohela wants to thank you all for your support and donation for which kind of act she has been recovered from coma.